April. Get Out and Hike! April! At last the snow has melted and the earth is warming. It’s an ideal time to hike Theodore Roosevelt National Park to catch the first glimpses of green, of new life, in the North Dakota badlands. The Achenbach Trail in the North Unit of the park affords good hiking surfaces and spectacular views of the Little Missouri River. Bison Greeting at Theodore Roosevelt National Park (North Unit) near Watford City, North Dakota. One of our favorite trails in the North Unit is the Achenbach Trail. We like to access shorter portions of the 15 + mile trail. Especially scenic is the portion which leads from its point farthest east to the River Bend Overlook. This presents one of the most iconic views of the North Dakota badlands. This hike is worth the time and effort! Achenbach Trail in April, Theodore Roosevelt National Park, North Unit, North Dakota. Overlooking the Little Missouri River at Theodore Roosevelt National Park (North Unit), south of Watford City, North Dakota. 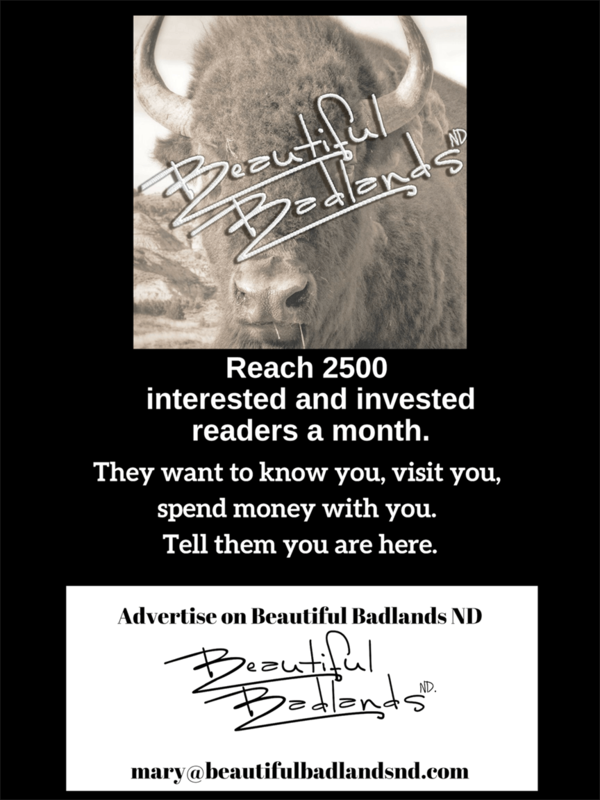 Join us in our may adventures in western North Dakota and eastern Montana. Click here: Discover Hidden Gems! Find out What’s Happening! Click here: There’s A Lot To Do! Subscribe to our Blog and our Newsletter. Drop us a line! What adventures have you had in the badlands?